I designed this activity to go along with the book "Brown Bear, Brown Bear, What Do You See?" 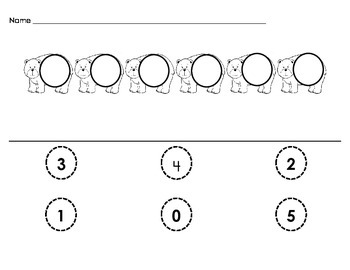 Students may cut out the circles and place them onto the bears in the correct order. Excellent tool for practicing fine motor work and ordering numbers through 10.